Relevant education background and work experience. Has leadership experience in volunteer works. The candidate has more than ten years relevant teaching experience in the field of music. He/she has actively participated in various volunteer works which developed his/her leadership skills. 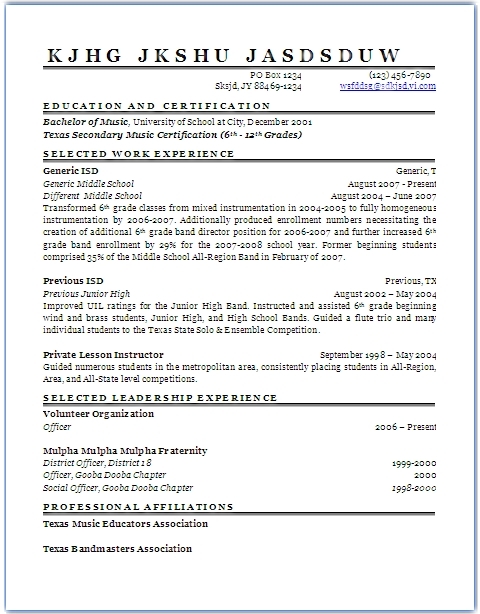 Be sure that with Resume Writing Service you will have a perfect resume for music teacher. 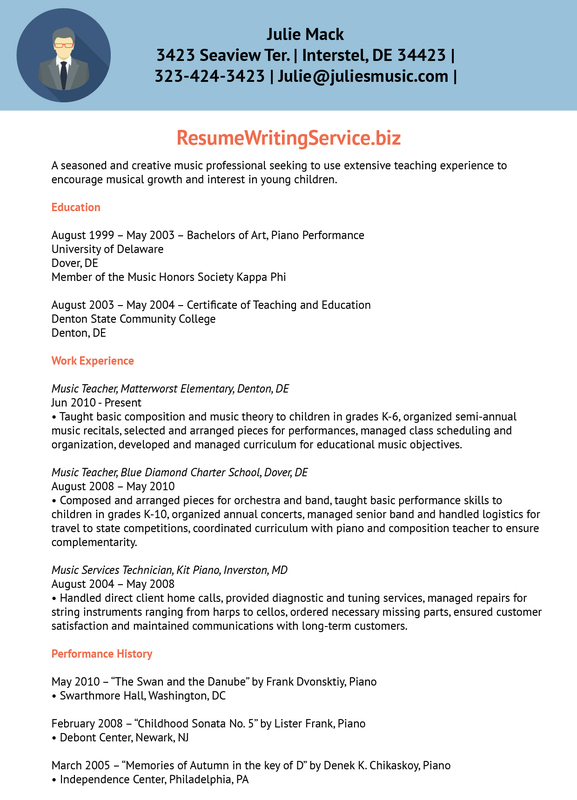 Just check more tips on music resume writing or give a try and let professional writers from the teacher resume writing services create a masterpiece for you.